Undoubtedly, the page title is one of the important factors that plays a vital role in on-page SEO, and might even help you in ranking better in search engine result pages. Then, why would one in his right mind like to hide page title in WordPress? Well, perhaps because WordPress is no longer a blogging platform. It has grown to a far bigger CMS now. Despite this, some of its amazing features just don’t seem to blend well with business websites. Imagine having a big page title at the top of your every page on a business website, or even worse, how about having a title on a home page or a landing page? In such scenarios, hiding WordPress page and post titles can be useful and there are a few ways to do it. In this tutorial, we will take a quick look at each of these methods. 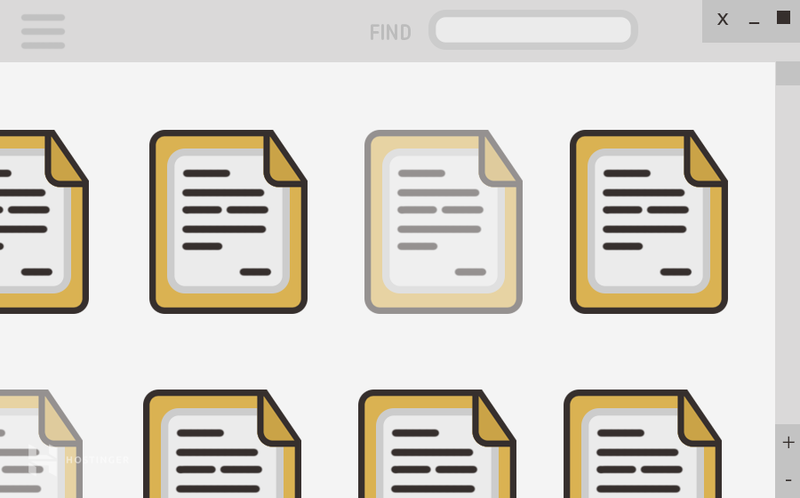 The following is the easiest way to hide a page title. 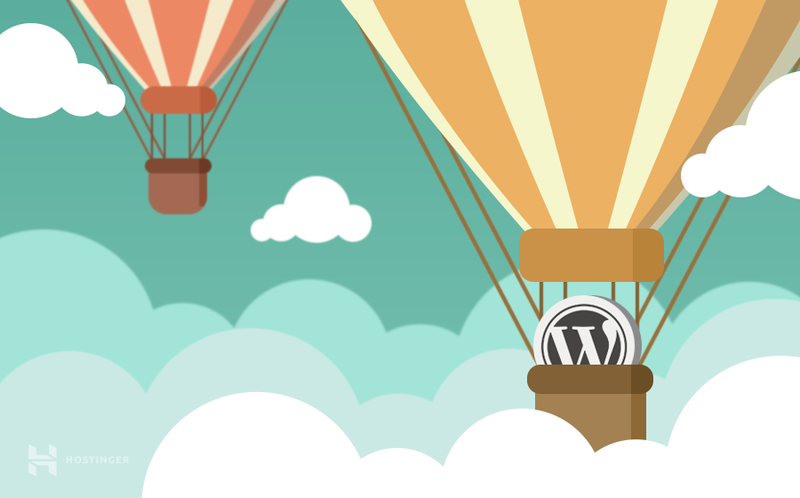 WordPress has allowed publishing posts and pages without a title for quite some time now. What required to use a plugin or custom CSS rules in the past is now implemented into WordPress core. 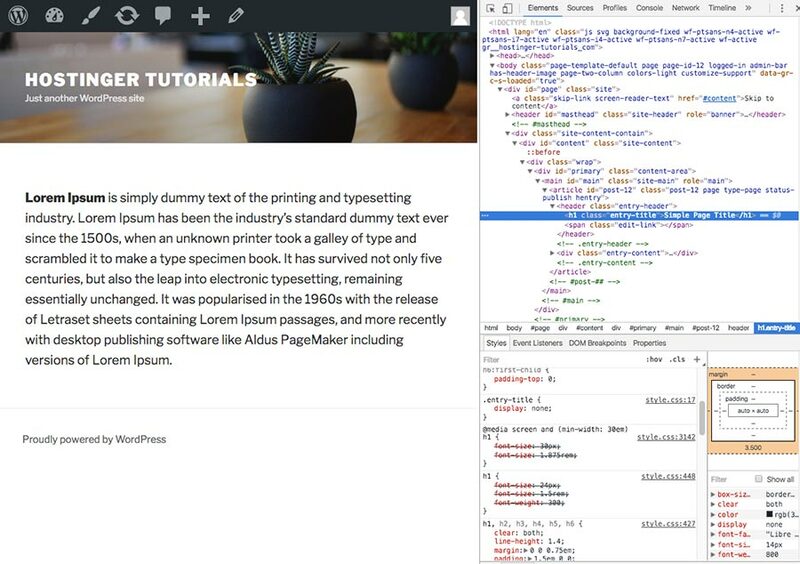 If you need to remove the title of an already published page/post all you need to do is to edit it and remove the title. Do not worry about the permalink, as it will remain unchanged. WordPress is famous for having thousands of different plugins you can use to add new features and functionalities to the CMS. 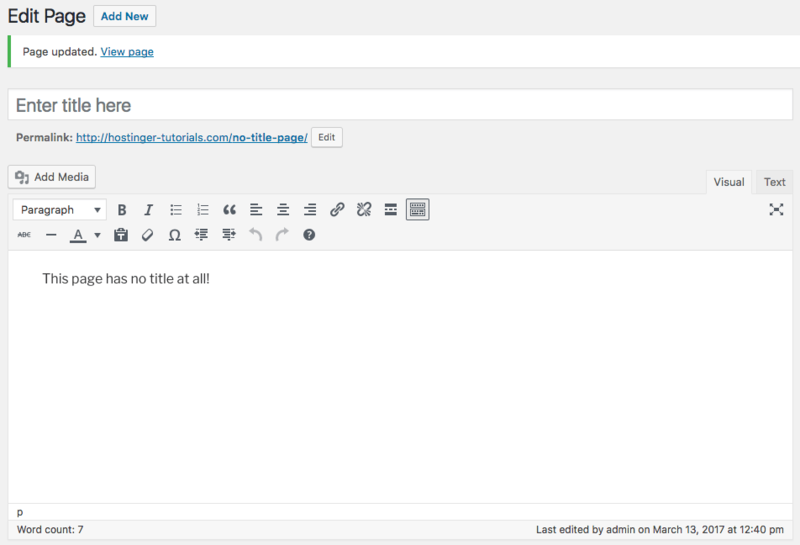 And of course, there is a plugin which hides the title of a page or post. It’s called Hide Title and below are steps on how to install and use it. Hide Title plugin can help you in hiding page and posts title. It is free in addition to being lightweight. To begin, install the plugin in your WordPress and click on Activate. Next, head on straight to the particular post or page where the title needs to be hidden. You can do this by clicking on Pages or Posts menu. Open the page/post and check the Hide Title meta box. Next, publish the post or click on the Update button. If the methods mentioned above do not seem like your cup of tea, there is another method through which you can hide a page/post title. It can be done with the assistance of Cascading Style Sheets. Using CSS, you can hide the titles of all pages or posts. However, technically speaking, this is not SEO friendly. Google and other search engines do not like when important text is hidden or covered up for some reason. Open the page in your browser, right click on the title of page/post and choose Inspect. The inspector will highlight HTML and show which CSS class is assigned to the page title. In our example, it is entry-title. However, it can be different depending on the theme you are using. 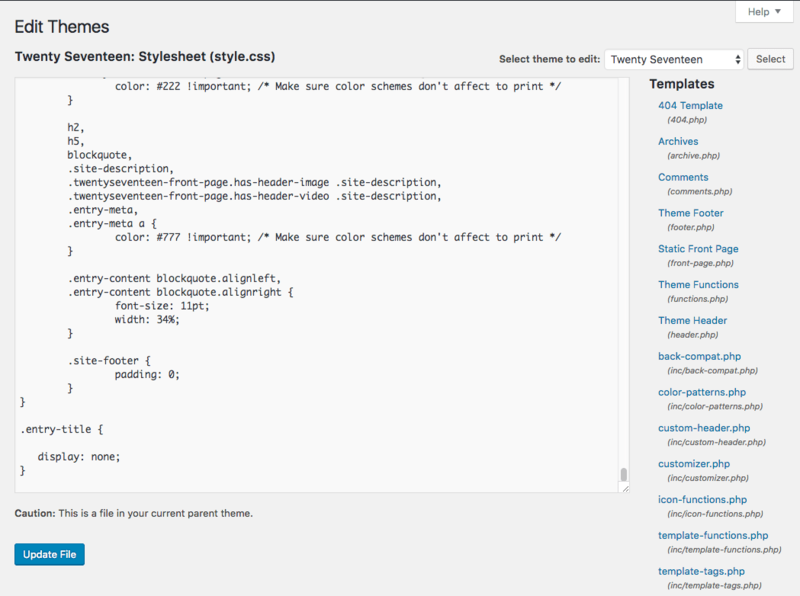 Next, head on to your WordPress dashboard, and click on Appearance -> Editor. Now click on Update file button and re-check your blog. You should no longer see any page/post titles. Hiding the title in a WordPress page or post is not a tough task and this tutorial presented several options how to do it. At times, there are situations when you need to hide page title in WordPress, and this is when the easy customizability of WordPress comes to your rescue. We hope that the above tutorial has helped you in meeting the purpose. If you have any query, do let us know in the comments. Thanks for the nice article. You have written it very well and easy to understand. It will be very helpful for the beginners. Good point! Will update the tutorial with suggestions. Hi Domantas, joema’s question is a very good one. Would you mind updating the tutorial with suggestions? Thank you. Sure, we will update it shortly. My friend and I were going through these nice techniques and had a horrible feeling that we never thanked you for sharing these secrets. All the guys are absolutely excited to read your posts. Thank you for being this kind and helping people with such relevant topics. I express my deepest gratitude! 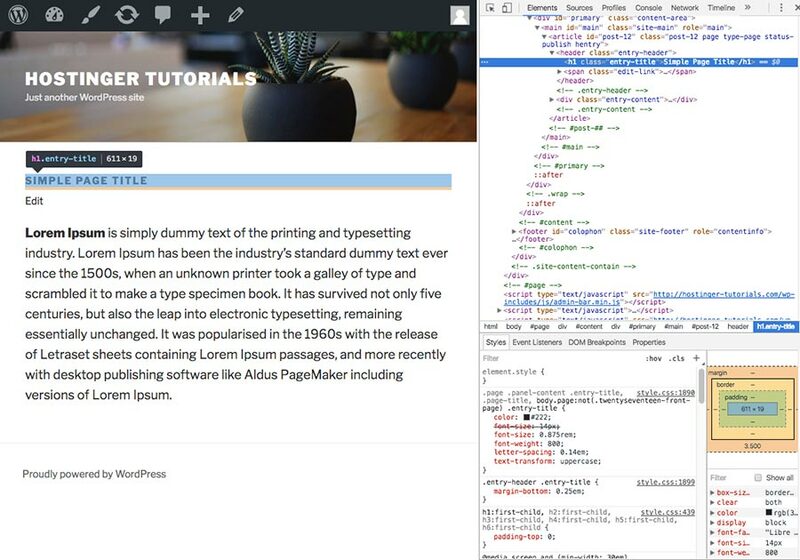 i want that my post title will show in frontend but when i open page view source by clicking on right side of mouse then it will not show in source page. how can i do this. i also want that i have made a custom field using acf plugin and want that the value of that custom field show in that place of post title in source code while the post title will show in front view as a seo point of view. It should appear in page source code. Try CTR (CMD for Mac) + F and search for the post title. Is there any SEO issue if I follow the 1st option to hide title for single pages? Well you will lose H1 as in many WordPress themes page or post title is H1. I know this is debatable and more and more SEOs think H1 are no longer important I like to keep things clean. In my understanding SEO optimised page should have 1 H1 title. I used option 1 and it worked…I didn’t realize it was that simple! Thank you very much.